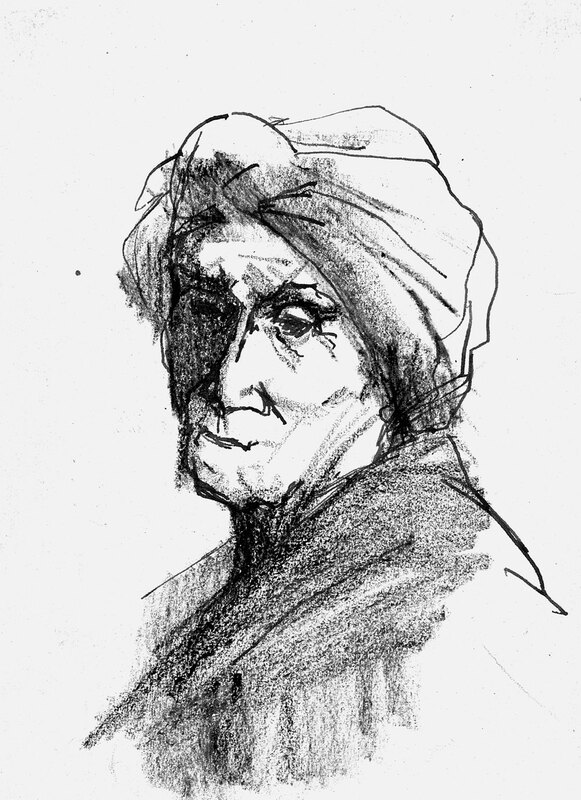 description A head-and-shoulders, three quarter face view of an elderly woman wearing a turban, with her head turned to the right. This is one of a number of studies of older women wearing turbans, a practical fashion (with curlers often concealed beneath) commonplace in wartime and postwar London. 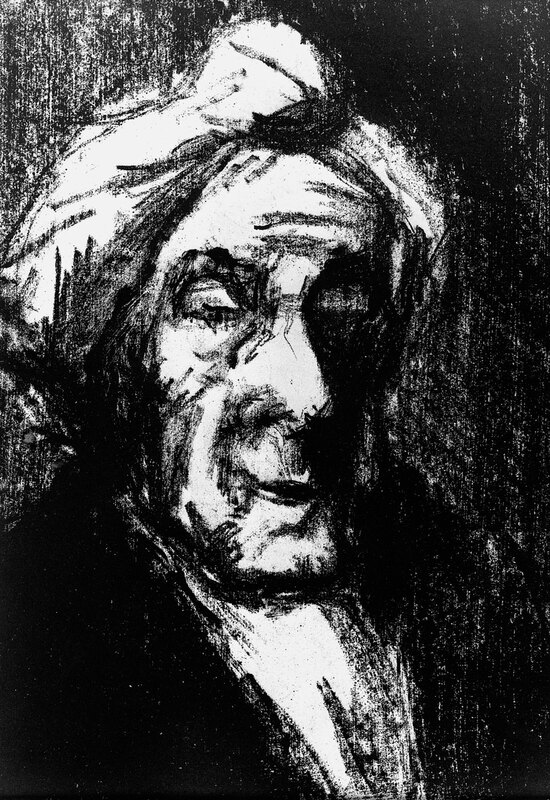 Like Rembrandt, the artist whom she most revered, Frankfurther had a strong interest in depicting older subjects, mostly impoverished, and this is one of her most powerful. 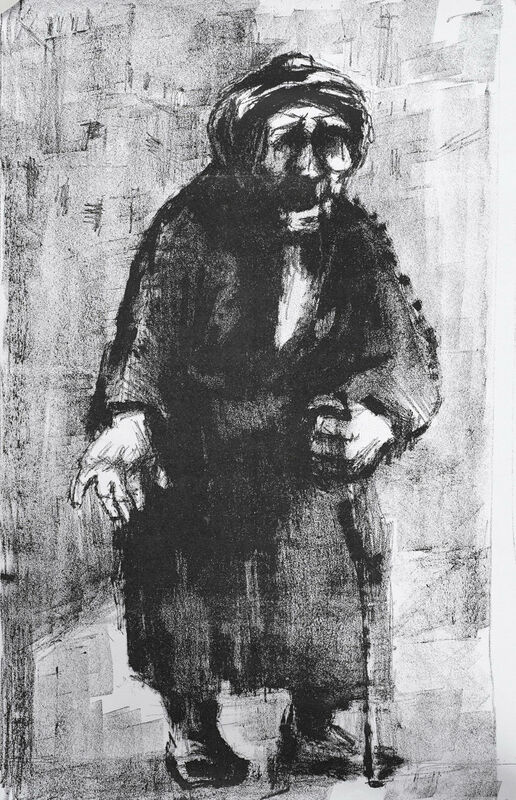 The sitter bears a strong resemblance to the woman in the full-length lithograph 'Old Woman with Stick'. The setting for the work is Whitechapel. 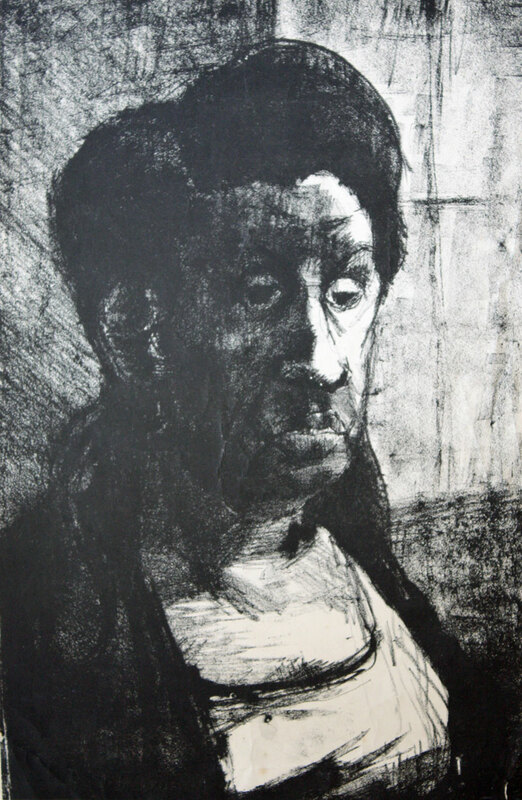 There is more than one print of this lithograph but the extent of the edition is not known. exhibition history 'Eva Frankfurther 1930-1959: Memorial Exhibition', Boundary Gallery, London, 15 June-18 July 2001, (90), £150. literature ed., B. Planskoy, 'Eva Frankfurther 1930-1959: Paintings, lithographs and drawings' (London: Peter Halban, 2001), illus., p. 49.